The Mesa Safe MBF1512C was specially designed and extensively engineered to provide you with the ultimate protection against burglary and fire incidents. This product is highly rated household safe by customers on Amazon. Combining all of the top security features to ensure your valuables, documents and firearms are safely stored and secured. With a hammered grey finish, the MBF1512C All Steel model is a stylish, reliable and durable safe for home. The Mesa Safe MBF1512C is built to withstand any form of physical attack with brute strength. It is equipped with a U.L. Listed Group 2 Combination Lock to ensure protection against intruder manipulation. With that feature comes a drill resistant hard plate and a relocking system triggered by any physical blows. Using a keypad lockout feature, this model will completely lock out any potential intruders after incorrect combination entries. Take these two important features and you can be ensured that no one will get their hands on your important belongings. The MBF1512C All Steel Safe has been thoroughly tested by the Mesa Safe Company. Equipped with fire resistant material and a heat activated seal, you can be ensured that your most valuable items are protected against any fire incidents that may occur. It has earned a two-hour fire rating. The interior does not exceed 350 degree Fahrenheit, being able to withstand temperatures of up to 1830 degrees Fahrenheit. Mesa Safe went ahead and tested the drop tolerance of the safe. It survived impact from a 30 foot drop – or two storeys. 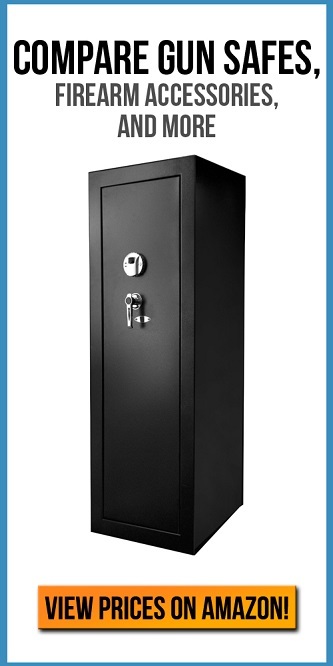 This safe is a reliable investment that will provide you with comprehensive protection and lifelong security. Although the MBF1512C All Steel Safe is built with the strength to last. Through Amazon you are immediately eligible for a Limited Lifetime Warranty. Minor complaints have been reported about this fireproof home safe. Some customers thought that the lock was slightly complicated and took them time to get used to. But, with help they were able to figure it out. This was not an issue on our end. Another handful customers felt as if the safe was lighter than its listed weight. Once the safe is bolted to the floor, this issue is no longer a problem. You will be prepared for every obstacle thrown your with the Mesa Safe MBF1512C. This small home safe offers burglary protection with its leading security features and is combined with the best materials to make it fire resistant. You are ‘better Mesa Safe than sorry’ and with a limited lifetime warranty, you can enjoy lifelong protection. Mesa Safe is a leading provider of high strength and quality safes and the Mesa Safe MBF1512C will not let you down. Enjoy the mental satisfaction of knowing that all of your important belongings are stored and protected. Waiting to be used for when you return home.